Wait...Is Pete Wentz Doing Secret Stand Up Comedy Shows? Fall Out Boy bassist and de facto spokesman Pete Wentz has found a new hobby to keep him busy between albums - he's trying his hand as a stand up comedian. 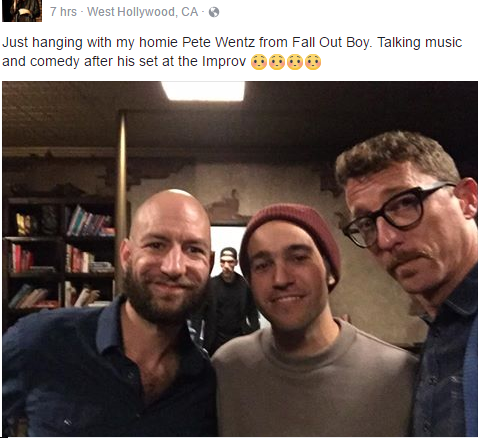 Pete was spotted at the legendary Improv club in Hollywood this past week, posing for selfies with other comedians on the lineup that have since been discovered by fans on Reddit. A full set? How much material does he have prepared? 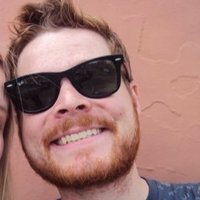 And, in case you don't believe him, a couple of fans appear to have caught the show, taking to Twitter to give Pete a shout out! @petewentz so good at improv tonight!! I wanna hear more!!!! Interesting, but still no video evidence is available. This is the only time we will ever complain about comedy clubs having a "no phones allowed" rule. Still, if Pete has decided to move into stand up comedy, it shouldn't come as a huge surprise, as he previously claimed to have written a sitcom pilot in 2015 entitled "Punk Is Dad", pitched as a Curb Your Enthusiasm for rock stars. No word yet on whether that project will ever see the light of day but we can at least hope it makes it to the pilot stage like Kanye's short-lived HBO project. Anyway, whenever FOB return for a new tour, maybe get down the front extra early - you might recognise the warm up act, working the crowd with some local one-liners.